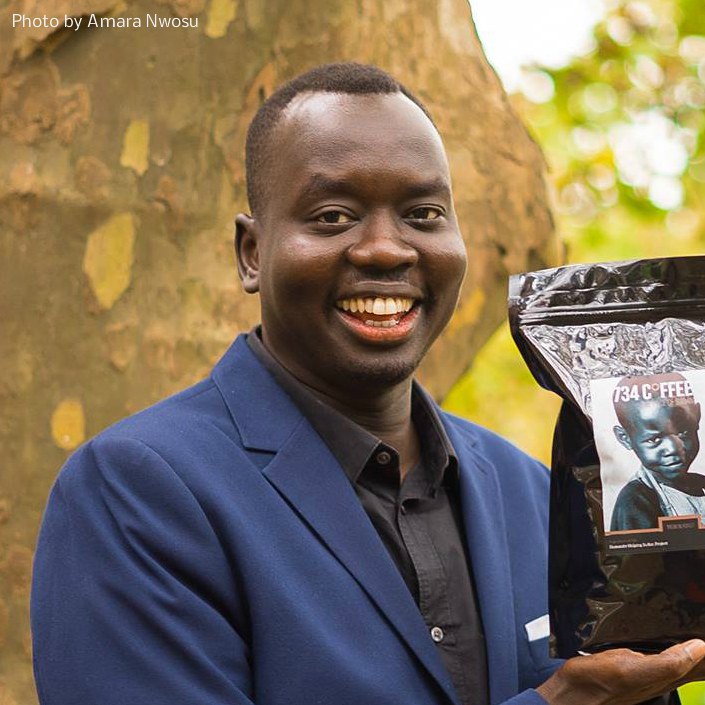 The 13 years that Manyang Reath Kher spent in refugee camps are still a facet of his everyday life in Richmond, Va.
Kher, who became an entrepreneur after resettling in the U.S., built his history into the name of his small business, 734 Coffee: It’s a reference to the coordinates of Gambela, Ethiopia — 7 degrees north latitude and 34 degrees east longitude — the region where his camps were located. “No one [can] really completely forget everything they go through,” says Kher, who was 3 years old when he saw his uncle get shot to death during the Second Sudanese Civil War. But, he says, mental health issues are not a big problem in his daily life. Kher says that he steers away from his harrowing memories by keeping himself busy. In addition to running 734 Coffee, he is the founder of the Humanity Helping Sudan Project, a nonprofit that prepares Sudanese refugees to become self-reliant once they exit the camps. He sees his business and nonprofit as opportunities to support refugee communities and raise awareness about the difficulties they face. Kher says he hopes refugees can receive more entrepreneurship training, which he believes could help spur job growth. He credits good sleep, good music and good company with helping him leave his refugee camp days behind. “I want this to be my personal story,” Kher says.